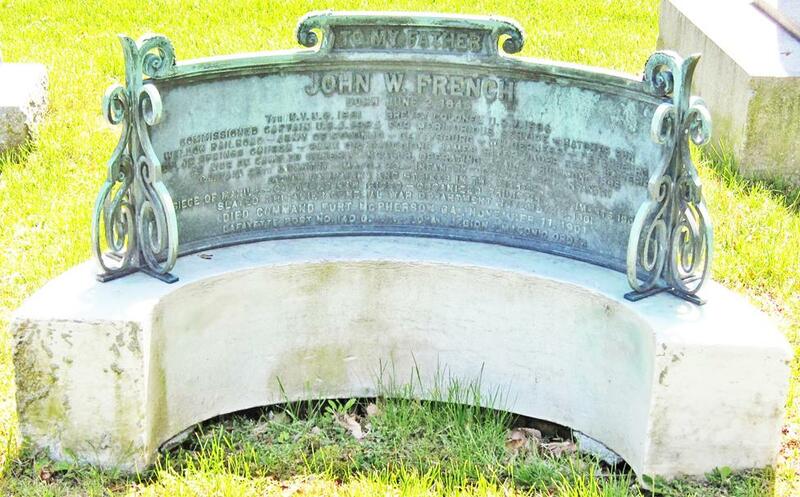 John W. French was born on June 2, 1843 in Washington, D.C.
and with the 8th Infantry in the Gettysburg campaign. and on staff duty and as pass officer in New York City. to prevent descent of ironclads to raid on depots at City Point." from January 18 to September 19, 1865.
on July 28, 1866, which he accepted on November 20 of that year. of the Department of Texas." from Dec. 15, 1870Feb. 12, 1871, June 18, 1871July 9, 1871 and Oct. 29, 1876Nov. 26, 1876.
to May 1888 and at Fort Custer, Montana from June 10, 1888 into 1891.
and was serving with that organization in the Philippines when called upon to take command of the 22nd Infantry. 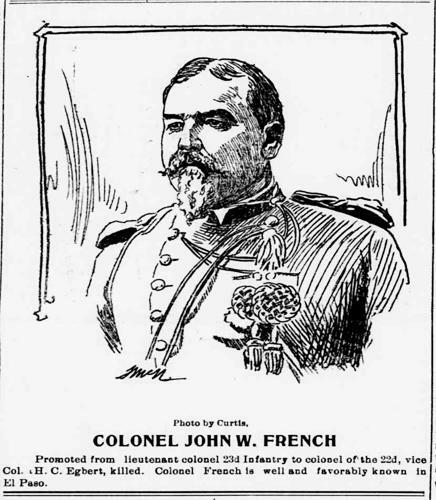 Friday April 14, 1899 announcing his promotion to Colonel of the 22nd Infantry. at Candaba, Island of Luzon. in Manila. On February 25 he resumed command of the 22nd Infantry. made during early March 1900. March 22, 1900 page 11. 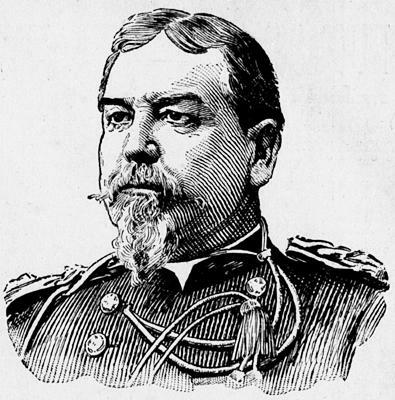 Colonel of the 23rd Infantry. He was in fact Colonel of the 22nd Infantry at that time. French was absent and sick in Hospital No. 3 at Manila from March 12 through April 14, 1899.
from May through August 1900. 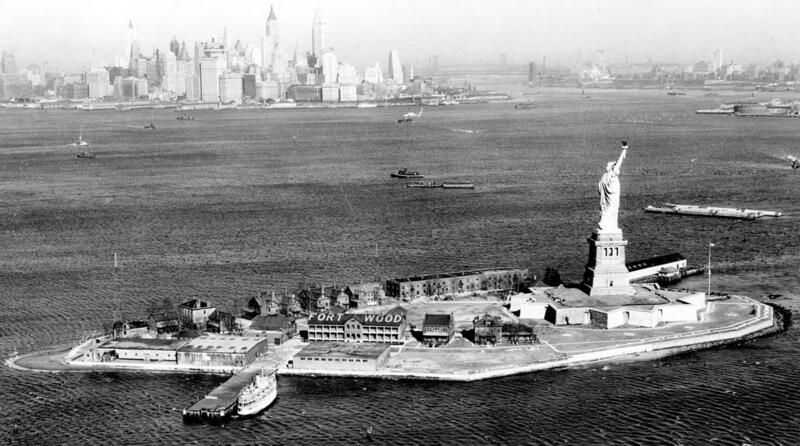 On August 27 he was detailed to Fort Wood, New York on Liberty Island. 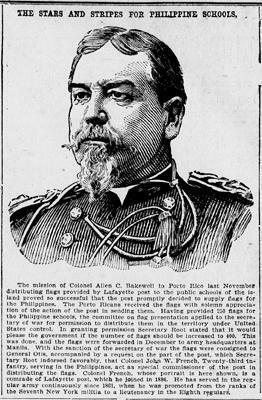 commanded this post while on leave of absence due to sickness from August 27, 1900 into March of 1901. In March 1901 French was ordered to report on detached service to Fort McPherson, Georgia. and establishment of the 26th United States Infantry. at which time Colonel James Miller assumed command of the 22nd Infantry. 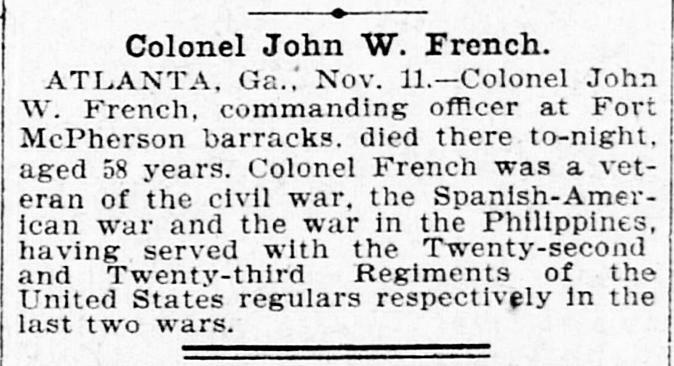 French died at Fort McPherson, Georgia where he was listed as being Commander of the Post. John W. French was an Original Companion of the Military Order of the Loyal Legion of the United States. He was mustered in to the Grand Army of the Republic (G.A.R.) on July 17, 1896. He became a member of the Society of the Sons of the American Revolution in June 1897. Returns of the 22nd Infantry dated June 10, 1899. Top illustration from The Ottumwa Courier Ottumwa, Iowa March 22, 1900 page 11.